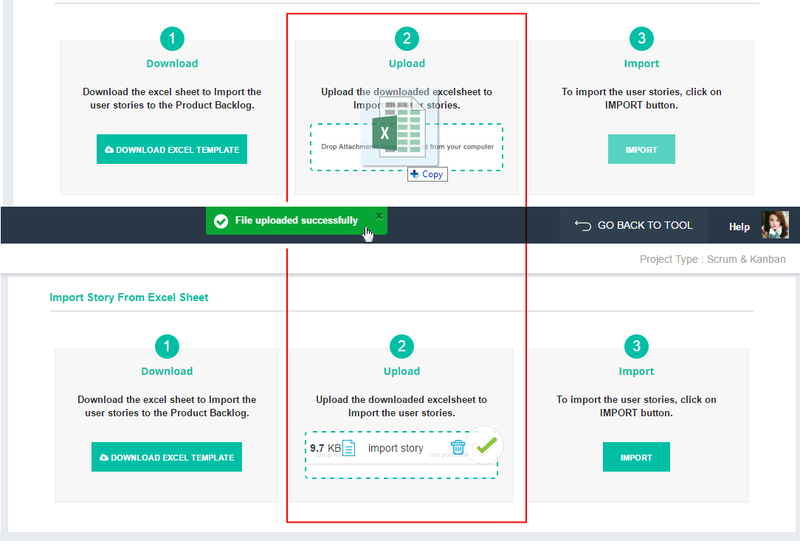 Import story is optimum feature that allows user to import story directly from excel. It falls under Project as it is project oriented feature. The story/s you import will fall in product or defect backlog of selected project. Let’s understand step wise and with example. 1. 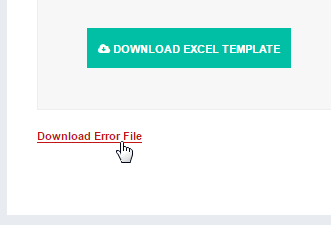 Click on Download Excel Template. On click excel file with pre-defined format will open. description. Under the Assign to field write down the email id of the resource going to work on that story. Note: User story type can be “Story”, “Epic” or “Defect”. If you write down story type as Story or Epic it will fall under particular project’s Product Backlog and if write down story type as Defect it will fall under particular project’s Defect Backlog. 3. Once you have filled excel with story details, save the file. 4. Drag or upload saved excel. 5. Once you upload excel successfully, import excel. Click on Import. As you will import excel, story/s listed in excel will be imported to project successfully and would be displayed in backlog. You can assign story to only resource/members associated with that project. If you mention email ID in excel of a resource who is not member of the project, file won’t be imported and error message would be displayed along with error file. You can download that file to know due to which wrong entry error had occurred.